The Holmes Junior High School Orchestras comprise over 100 students. They perform, take trips, and enter competitions. But cannot do these things without parent/guardian help and support. 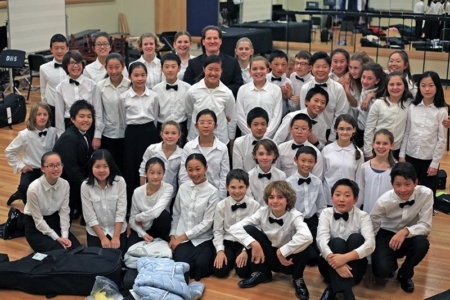 Parents and guardians from the award-winning Intermediate and Advanced Orchestras come together to work on these events. If you would like to volunteer please contact Angelo Moreno.